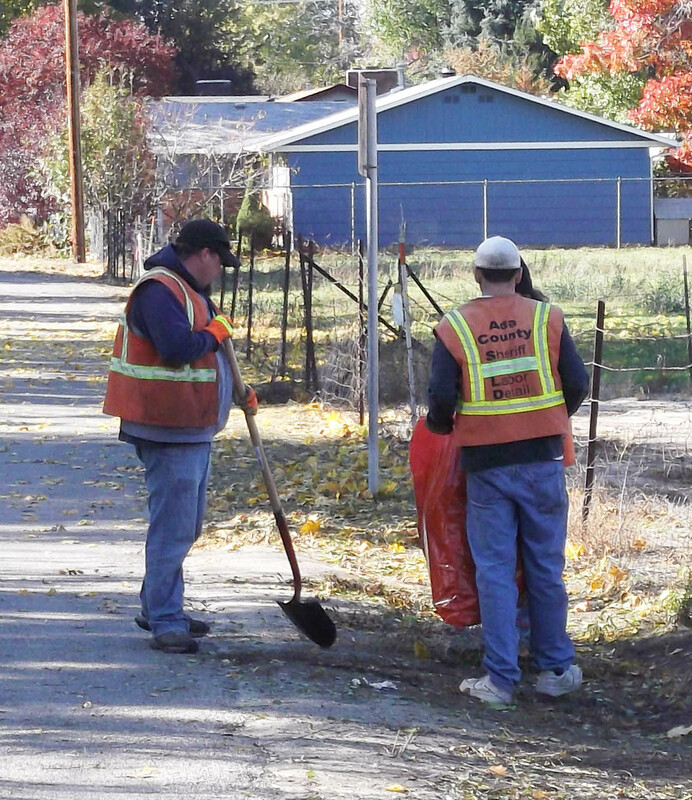 In April of 1998, the ACHD and ACSO started the Labor Detail (LD) program to cleanup Ada County and reduce the amount of weeds along the roadway. Each year more than 70 miles of roadway and shoulders are cleared, over 1,000 alley blocks are cleaned, and over 1,500 cubic yards of weeds and debris are hauled to the landfill. ACHD’s Labor Detail program is supported by four ACHD crew leaders. Each is equipped with a van and trailer, a range of hand tools and one truck with a compactor trailer is used to collect and transport the debris to the landfill. By using offender labor, Ada County taxpayers are saving approximately $365,000 per year in wages. The program allows offenders to give back to the community, and ninety percent of all the weeds, tree limbs and wood (organic debris) removed by the inmates are taken to the landfill recycling center to be used for livestock bedding. Both ACHD and the ACSO are pleased about the longstanding success of this program.